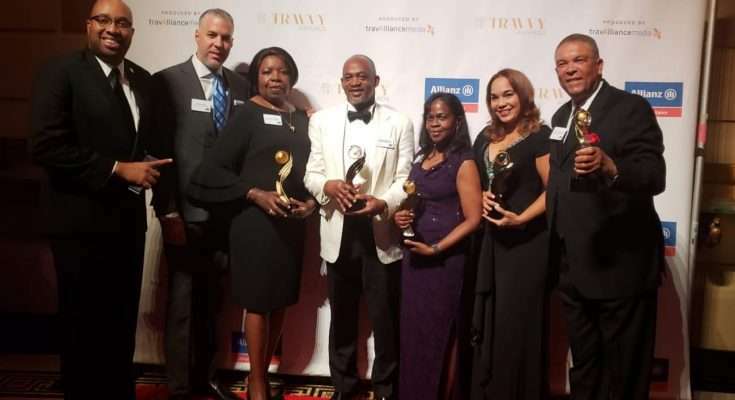 Jamaica emerged as big winners at the 2019 Travvy Tourism Awards held in New York City in the United States last night. The island was awarded for its contribution to the world tourism sector. The Jamaica Tourist Board, JTB was given the best Tourist Board in the Caribbean award. Jamaica also won the best wedding destination, best honeymoon destination and best culinary destination awards at the function which was attended mainly by American travel industry stakeholders. Senior Advisor and Strategist at the Tourism Ministry, Delano Seiveright, led the delegation which included Donnie Dawson, Deputy Director of Tourism, and other JTB managers. 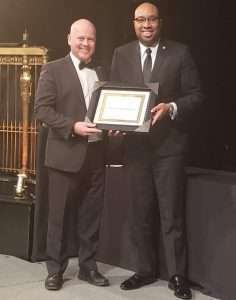 Jamaica’s Tourism Minister, Edmund Bartlett, was also given the inaugural Chairman’s Award for Global Tourism Innovation. The award was collected by Seiveright, on behalf of Minister Bartlett who’s attending the international tourism trade fair in Spain. Minister Bartlett is reportedly concluding negotiations with two new hotel brands that are set to invest in Jamaica. Minister Bartlett says the Global Tourism Innovation award is timely given that Jamaica is about to officially launch the resilience centre which is one of a kind and will be a serious game changer for tourism worldwide.